That's right. Today is my 7th Gotcha Day! Can you believe it? Mum says it doesn't seem at all that long ago that she adopted me. 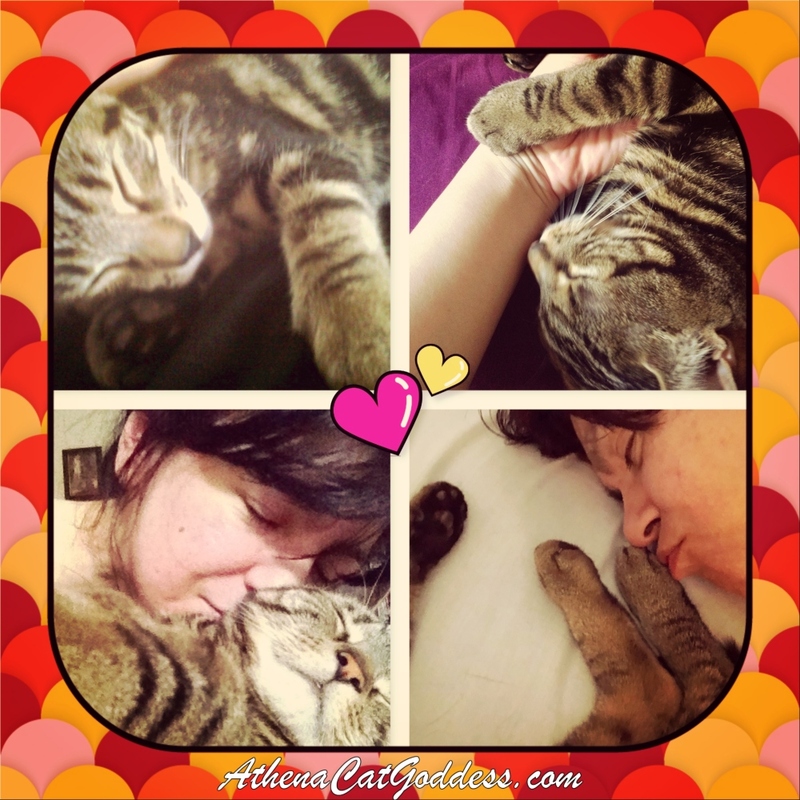 And she also made this pawsome collage with the Phototastic Collage app! Happy gotcha day, Athena! That was certainly a big day for both you and your human! Happy Gotcha Day sweet furrend! Your art is spectacular! Just like you! Atgena, you are so adorable! Happy Gotcha Day, and wishing you many, many more! Happy Gotcha Day Athena!!!!! The collage shows how much love their is between you and your Momma. Your mom created some beautiful artwork, Athena! Have a wonderful weekend! Happy Gotcha Day sweet girl!!! Happy Gotcha Day! I like the way the background is all blurry and you're lit up. Happy Gotcha Day!! We are so happy for you. Your mom created such beautiful artwork for Caturday Art Day. You both look so happy together in the photos. 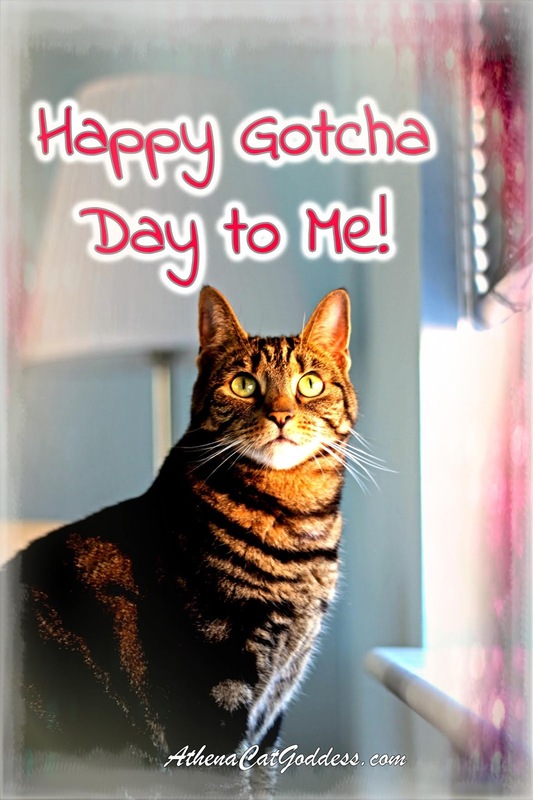 Thanks for the share and have a great weekend celebrating your 7th Gotcha Day Athena. A very happy sweet 7th Gotcha Miss Athena!!! Happy Caturday Art Day and Gotcha Day. Good to be back. Hope your day has been purrfect, Athena! Happy Gotcha dear little girl. Smoochies from us to you. Happy Gotcha day Miss Athena. I hope you have a wonderful day. Thank you for all the sweet comments, everyone! Aww it's a purry special day.